I sometimes think my dogs are the luckiest in the world. They are pampered, have a ton of toys, lots of people to play with, cushioned beds, and they get to try out some of the best dog foods available. We were lucky enough to get an array of dog food from Evangers along with some great treats, I was excited and I know Bella and Beau were just beside themselves with anticipation. Dr. Fred Evanger began making pet food for his champion Great Danes in the 1930s. 80 years later, Evanger’s continues to be the choice of top handlers, breeders, and enthusiasts. Our commitment to using the highest quality wholesome ingredients continues to make us the natural choice of conscientious pet owners. This is important for me! I am pretty impressed with all of the products they sent us and the quality of the foods is very apparent by the way my dogs reacted to it and the smell of good foods not greasy fats smells. The Evanger Line of food has something for every dog, whether they are allergic to chicken or allergic to peas they have a good food solution for that. If you have a dog with problems with diarrhea they have a food solution for that as well. I was amazed that they even had solutions for dogs with skin problems and hot spots. I had a basset hound that very seldom had hair due to an allergy of something in her food, we still do not know what it was. You can go to this page and find all of the food solutions that you can use to help your dog to feel better. I love this option. We ave a puppy who is now about six months old and we have had a horrible time finding food for him that agrees with his stomach, one food would give him constipation and so we would switch to something else and he would have diarrhea, there was no middle ground for him. We now have him on the Evangers Chicken and Rice and he has been doing very well. Sometimes as dog owners we get lucky and whatever we feed them they love and it agrees with them, but sometimes we are not. 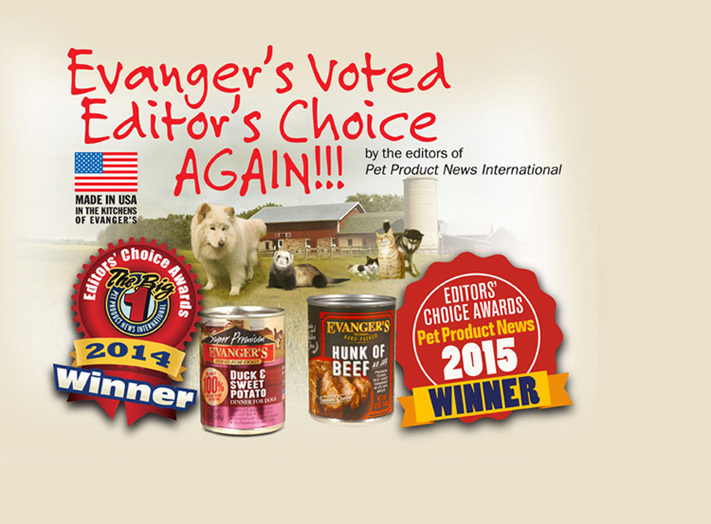 I am so glad that we got to try Evangers Dog Food and find a solution to our puppy’s problem. If you are looking for a great quality pet food this is one I would definitely put on my list. Dog Food Advisor even gives it 4.5 stars out of 5. Check out their website and social channels to get full information about them and what they can do for your pets.